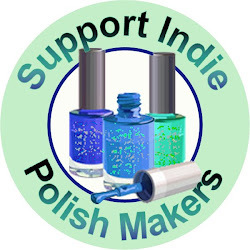 This is my own personal indie line of polish. On this page you will find links to various blog reviews. If you like what you see please check out my shop at Etsy, Model City Polish. Nail Nerdiness - Seize the Rainbow.